10 APRIL 1635: THE DEATH of Helena, the Dowager Marchioness of Northampton (c.1549-10 April 1635) was the daughter of Ulf or Wulfgang Henriksson Snakenborg or Snachenberg of Ostargotland (d.c.1565) and Agneta Knuttson (d.1568+). 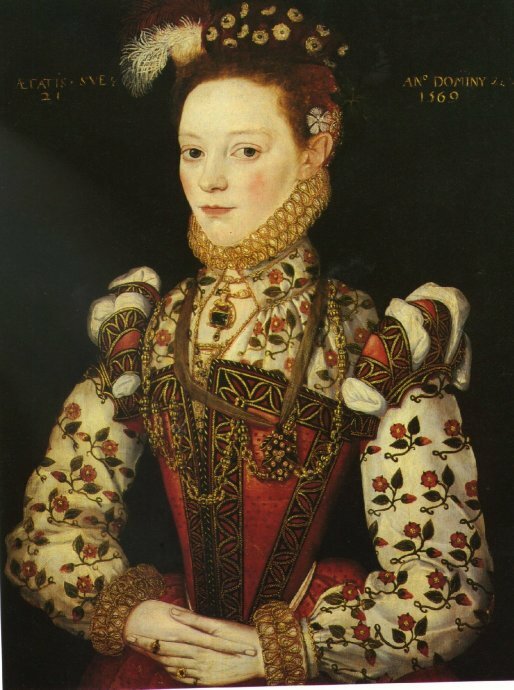 She came as a maid-in-waiting to Princess Cecilia of Sweden on a state visit in the autumn of 1565 and stayed on when Cecilia left in May 1566. She was being courted by Sir William Parr, Marquess of Northampton who had asked her to marry him. Queen Elizabeth stepped in, taking Helena into her keeping at court, as a maid of honor. Helena was given private quarters at Hampton Court Palace. Later she was a gentlewoman of the privy chamber, although without pay. Helena and Parr finally married in May 1571, after the death of his first wife, from whom he had been separated (and annulled) for decades. The Queen attended the wedding which took place in the queen’s closet at Whitehall Palace with pomp and circumstance. The Marquess died soon after, leaving Helena a wealthy widow and, as Dowager Marchioness of Northampton, senior to every other lady at court save the queen and the queen’s cousin, Lady Margaret Douglas. 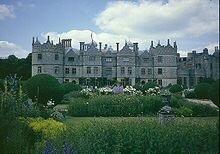 Longford Castle in Wiltshire. Longford Castle is located on the banks of the River Avon south of Salisbury, Wiltshire, England. In 1573 Thomas Gorges, of Langford acquired the manor (at the time written “Langford”), which was originally owned by the Cervingtons. Prior to this the existing mansion house had been damaged by fire. Around 1577 she remarried, taking as her second husband Thomas (later knt.) Gorges. Helena was a patron of the arts, rebuilt Langford Castle in Wiltshire, and was chief mourner at the funeral of Queen Elizabeth Tudor. 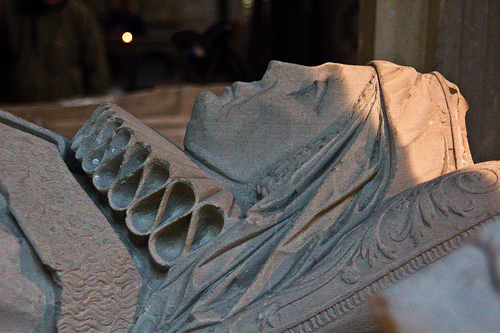 She was buried at Salisbury Cathedral where an effigy is still present. Helena, Marchioness of Northampton and Sir Thomas Gorges in Salisbury Cathedral. Helena’s effigy which has a coronet, Salisbury Cathedral. British School 16th Century: A Young Lady Aged 21, Possibly Helena Snakenborg, Later Marchioness of Northampton 1569, Tate Museum, London. 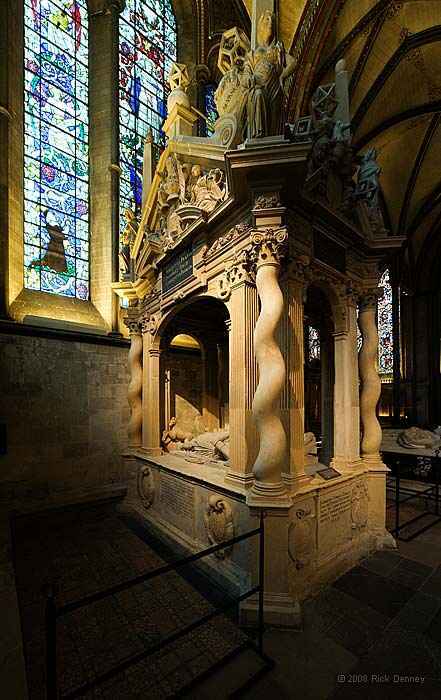 This entry was posted in The Family of Katherine Parr, The Tudors (1485-1603) and tagged chief mourner of Elizabeth, Helena von Snakenborg, lady to Queen Elizabeth, Marchioness of Northampton, wife of William Parr by tudorqueen6. Bookmark the permalink. I have to correct the above comment. The Bååt family was by no means of lesser nobility. The family belonged to the Swedish nobility since at least the 14th century (something that is mentioned in the coronation speech of king Erik XIV). However, the titles Count and Baron were not introduced in Sweden until 1561, which might suggest that the Bååt family was country gentry, since they didn´t have a title. In the 17th century they became barons. As for Helena´s maternal side, her mother was from an old family, Lillie, an old family that later became counts Lillie. In other words, she was definitely Swedish high nobility. I am a direct decendant from Helena´s sister Carin Ulfsdotter, who was married to my 6 times grandfather Filip Bonde. Helena is my 11 times father´s maternal aunt. The name Snakenborg comes from her maternal side a few generations back, and I think it would never occur to her to use the Snakenborg arms. In Sweden it was possible to take a maternal family name during the medeival times. Thank you for your comment! More insight into Helena’s family! I’m happy to be corrected about the status of the Bååt family in the mid-16th century, even though I think the evidence is not as conclusive as you would like to believe. The Vasa family spent effort to concoct a history of Sweden that would befit the proto-nation state they were trying to build. Erik Gustavsson’s own claim to be the *fourteenth* King Erik to rule in Sweden being a case in point. Also one has to bear in mind the intended audiences for a coronation speech and take what is said with a certain amount of salt. There’s no doubt that the Bååt family were old, established and extensive. Elin Ulfsdotter’s branch were certainly *frälse*, and it’s possible to trace that status back to the 1300s (beyond the connection with the original Snakenborgs). But in the absence of any formal structure to the Swedish nobility in the period, it’s difficult for me to judge what *frälse* meant in the 1560s. It seems to have been quite a broad category. It must also have been difficult – both for Swedes and foreigners – to be sure how at least some of the Swedish ranks meshed with ranks in other countries. When Elin’s brother Göran Ulfsson came to England to witness her marriage to the Duke of Northampton in 1571, English sources refer to him as “George Woolf” and call him “gentleman”. To be a gentleman in England at this time was by no means demeaning, it was the general status for a male landowner of family who had no title to inherit and had not yet achieved a knighthood – which pretty much describes Göran Ulfsson in 1571. The death of Ulf Henriksson in 1563 probably caused hardship for his young family. At that point Elin’s mother Agnes Knutsdotter (Lillie) had six children, possibly more, all under the age of 18. To me she seems a redoubtable woman. By the time of her death, which seems to be in the early 1580s, she had placed all her children in good marriages or on the road to security. In retrospect, getting Elin accepted as a maid to Princess Cecilia was the key to Agnes Knutsdotter’s success – and this she may well have achieved because of her Lillie connections (and/or Ulf’s Bååt connections). But it wasn’t till after Elin became a Marchioness that things seemed to improve for the family. For example, your own ancestor Carin Ulfsdotter doesn’t seem to have married Filip Bonde until 1580, by which time she was about 29 years old. I’m glad you are able to confirm that it was very unlikely for Elin to have used the Snakenborg arms, despite the romantic fantasies of modern re-enactors. The Snakenborg name seems to have been revived and used as the alternative to Bååt by her family in Sweden after Elin became Helena Northampton. Oops! A slip in the previous. William Parr was of course the _Marquis_ not the Duke of Northampton. I never understood why he wasn’t made a Duke! It’s my photograph so I would still appreciate a credit! May I also take the liberty of pointing out a few errors in your text? 1) Helena’s father was Ulf Henriksson of the Swedish lesser noble family – really country gentry – Bååt (Boat). There is no evidence that he ever used ‘Snakenborg’. It seems to be a conceit of his children. (And to the best of my knowledge ‘von’ has never been used in Sweden except by Germans.) Helena certainly seems to have used Snakenborg of her Swedish family at some point, but on her tomb I was unable to see the Snakenborg arms. The Bååt arms are clear enough. On the evidence of her own autograph letters, before her first marriage she called herself “Elin Ulsdotter”, and after, “Helena Northampton”. I’ve not been able to find any evidence that she ever signed herself Snakenborg. 2) “The Marquess died soon after, leaving Helena a wealthy widow…” In fact rather the contrary. William Parr died deeply in debt and there was a dispute about who would pay – and how much – for his funeral. Eventually the Queen stepped in. It was also Queen Elizabeth who made sure Helena was provided for and took her back into the court as a Lady-in-Waiting. 3) There is absolutely no evidence whatsoever that Helena was ever called “Helena the Red”. If anyone at Elizabeth’s court was going to be called “the Red” it would be the Queen herself. In fact, the Queen’s red-headedness set the fashion. Any woman aspiring to status in Elizabeth’s England, if she didn’t have naturally red hair, would seek to tint her hair. Stand before any collection of paintings of court ladies from Elizabeth’s time and count the red-heads. The number exceeds the statistically probable! Of course Helena had red hair… but was it natural? At this distance in time, who can say? But red-heads are far LESS common in Sweden than they are in Britain, so my money’s on blonde dyed red! I had no idea that was your picture as I found it elsewhere on another site. There was no name on who drew it or where it came from. I was aware that the Marquess died quite poor as Elizabeth paid for everything however I think that info came from elsewhere as well. Should fix it. Any who, there isn’t much published on Helena so there isn’t that much info on her. Could you provide some sources for the claims of 1 and 3?